Do you need Air Conditioning repair, installation or upgrade? 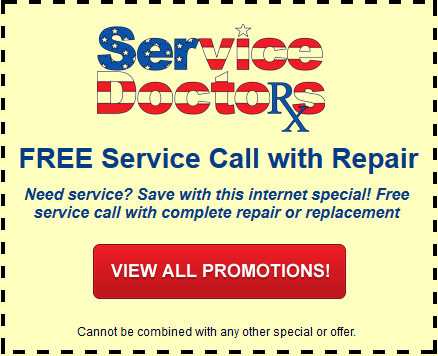 Please give us a call or fill out our contact for a free estimate. We are open 24/7. Whether you are interested in replacing your old AC with an efficient new system, you need emergency repairs on your existing unit, or you simply need to schedule routine service, call us today to discuss your options and set up an appointment with one of our professional technicians. At Service Doctors, we pride ourselves on offering only the best air conditioning services in Washington D.C. Metropolitan area. Schedule your service now to find out why more of your neighbors count on us for all of their home comfort needs. To ensure your air conditioner keeps working as it should, you need to have regular maintenance performed on the system. This requires a trained professional to clean and check your coils, the compressor and all other components. They will turn on and inspect the system in the spring before the cooling season starts and check for any problems that might crop up during the hotter months of the year. Even the most well maintained systems will eventually start to wear down. If a problem does occur, you want a trained expert you can rely on to make repairs as soon as possible. Whether the system suddenly stops working, stops providing even cooling to every room of your home or begins to make a lot of excess noise, call us to inspect and repair the problems immediately, before it gets worse. At a certain point, spending money to constantly repair your old air conditioner just doesn’t make financial sense. If your air conditioner is in poor condition or is using a tremendous amount of energy to get the job done, it may be time for a replacement. If you find yourself in this situation, we can help you determine the best modern, energy efficient model to choose as a replacement for your home. The most conventional type of whole–house cooling is central air conditioning. As you undoubtedly know, central air conditioning delivers cooled air throughout your home via ducts and vents. It’s great for cooling even large homes, and offers incredible convenience, thanks to control innovations like digital thermostats and zoning systems. A second, newer option is a ductless mini split system. These systems are also capable of cooling your whole home, via an outdoor condenser unit and several individual room units. The major advantage of these systems is that they do not use ducts, so they are ideal for homes that do not have any existing ductwork, or where space is at a premium. From a very broad perspective, central air is better for larger homes and ductless mini splits are better suited for smaller ones, but it depends on the situation. Your needs – and budget –– may be better suited by one or the other. 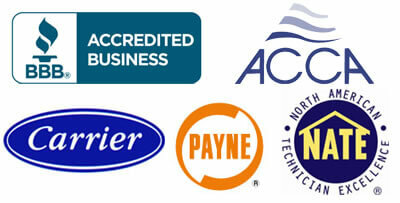 REQUEST A SERVICE CALL FROM A CERTIFIED TECHNICIAN NOW!